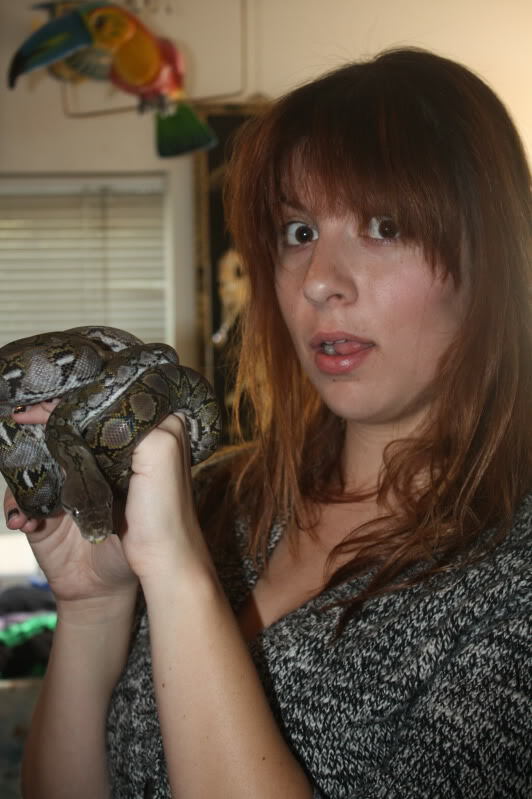 So since there are so many female keepers where are all your pictures of you and your snakes. i was warned by my lawyer that posting my picture online could get me arrested for inducing panic. 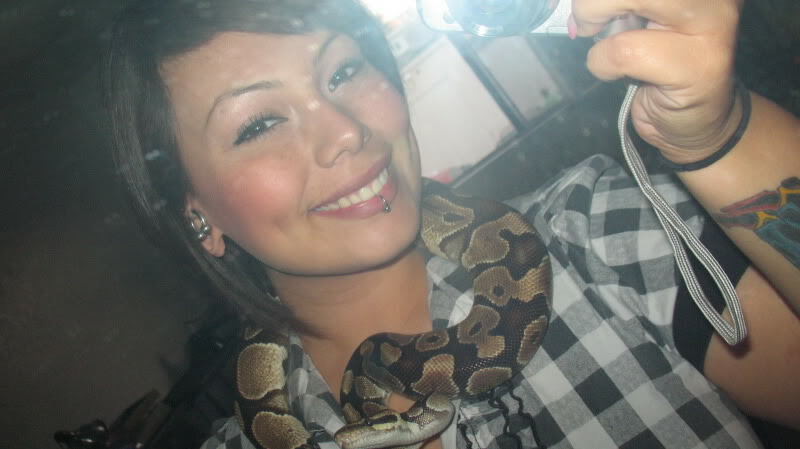 Well this is me and my favorite snake, Pandora. She's perfect in every way! I do not take pictures with myself and any of my animals. I see no point in including myself when the animal itself is far more beautiful. Its all about them anyways ahah. Look there I am! That's how I look in 99.9% of snake pictures. Just kidding, here's me with Bruce. Thought I would introduce myself and Damien here. My name is Gabbie, 23 years old, mother of a 3 year old boy (Elvis), and live in San Diego. 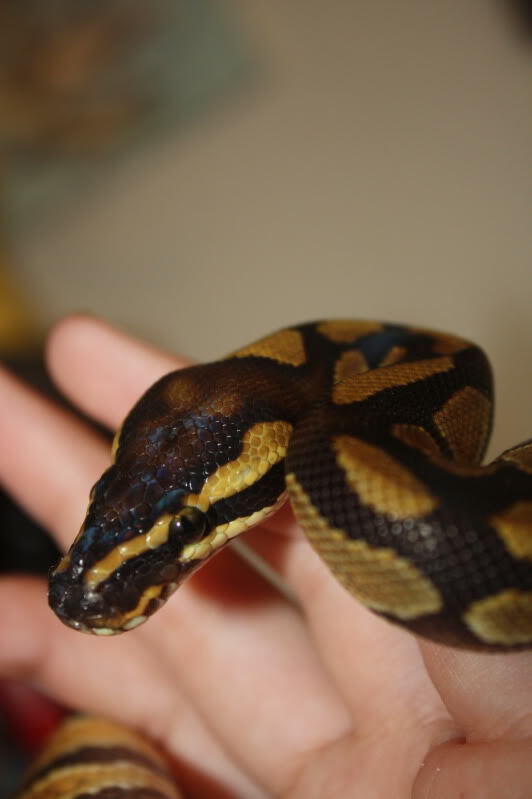 I have 4 snakes: 1 Ball Python "Damien", 2 Corn Snakes ( Ziggy and Marley), and a Gopher snake "George". Currently 2 of my snakes are roaming my apartment somewhere . Here is a picture of my Ball Damien and I. Last edited by rdoyle; 02-10-2011 at 05:12 AM. I'm starting to like this thread.